Wiarton Willie, the well-known weather rodent, is dead. The albino groundhog whose annual weather prediction is a national event and draws large crowds every Groundhog Day was 13 years old. The Town of South Bruce Peninsula announced Wednesday that Willie lived three times longer than the average groundhog, which can normally expect to reach the age of four. According to a news release, a memorial service is planned for Saturday, September 30th at 11 a.m. in Wiarton's Bluewater Park in gratitude for his many years of service. 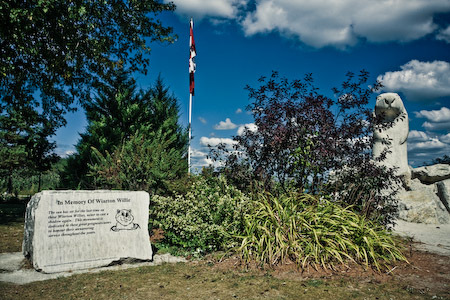 The Town says a funeral procession will then travel through the park to a statue of Willie's likeness, where the albino groundhog will be honoured. He will be replaced by understudy Wee Willie. According to folklore, when a groundhog sees its shadow on February 2nd, winter will last another six weeks. If the groundhog emerges from its burrow on a cloudy day, spring will come early.